What Is Foot and Ankle Care? For patients who suffer from foot and ankle pain, a simple walk across the room may seem unbearable. The Northwestern Medicine foot and ankle specialists can help relieve pain and restore mobility. Northwestern Medicine Orthopaedics provides specialized care for injuries of the foot and ankle, including the latest minimally invasive procedures. From evaluation to rehabilitation, skilled orthopaedic specialists* will guide your every step through a wide range of medical and surgical solutions for your foot and ankle issues. Foot pain is often caused by improper foot function. Poorly fitting shoes can worsen and, in some cases, cause foot problems. Shoes that fit properly and give good support can prevent irritation to the foot joints and skin. There are many types of foot problems that affect the heels, toes, nerves, tendons, ligaments and joints of the foot. Ankle joint fractures: These fractures may be serious and require immediate medical attention. Ankle fractures usually require a cast, and some may require surgery if the bones are too separated or misaligned. Metatarsal bone fractures: Fractures of the metatarsal bones, located in the middle of the foot, often do not require a cast. A stiff-soled shoe may be all that is needed for support as the foot heals. Sometimes, surgery is needed to correct misaligned bones or fractured segments. Sesamoid bone fractures: The sesamoid bones are 2 small, round bones at the end of the metatarsal bone of the big toe. Usually, padded soles can help relieve pain. However, sometimes, the sesamoid bone may have to be surgically removed. Toe fractures: Fractures of the toes normally can heal with or without a cast. The symptoms of foot problems may look like other medical conditions and problems. Always see your doctor for a diagnosis. An ankle sprain is an injury to the foot's ligaments in the ankle. Ligaments are tough bands of elastic tissue that connect bones to each other. Ankle sprains may occur if the ankle rolls, turns, or twists beyond its normal range of motion. Ankle sprains may be caused by awkward foot placement, irregular surfaces, weak muscles, loose ligaments, or wearing shoes with spiked heels. The Northwestern Medicine orthopaedic teams bring together board-certified physicians and highly trained and experienced specialists from many disciplines to help you get moving again and doing the activities you enjoy. Click here to learn more about the Center for Comprehensive Orthopaedic and Spine Care. 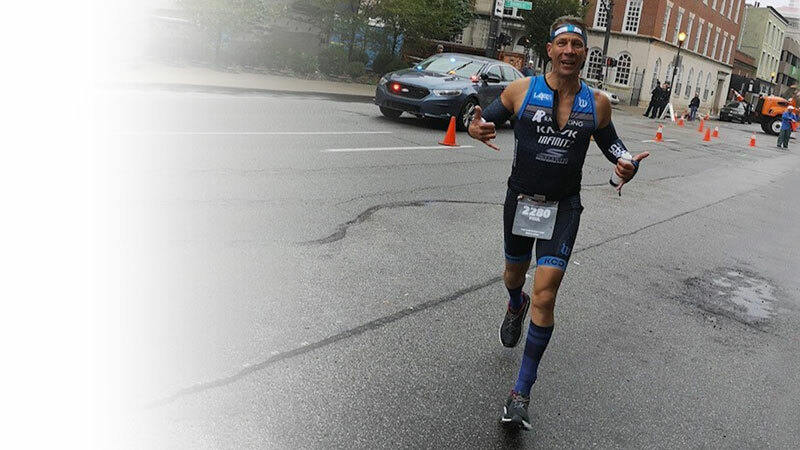 His Northwestern Medicine orthopaedic surgeon made sure triathlete Paul Zegar could return to the race course after a broken heel. With a triathlon approaching, Sara was sidelined with piriformis until she went to Northwestern Medicine to keep her everyday on track.